Take in the Unique Dining Experience -- There's a Real Sailboat Inside the Building! EAT: Located on the Fox River, the views will not dissapoint! 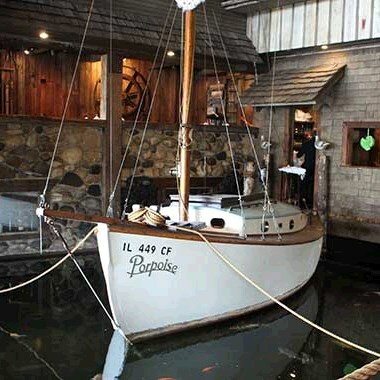 Dine alongside the Popoise, a real sailboat that's inside the building! ENJOY: Relax in the quaint charm of the Historic Woodstock Square including the Woodstock Opera House.